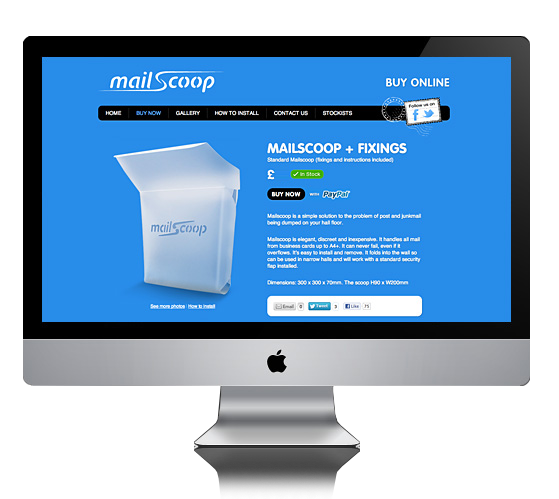 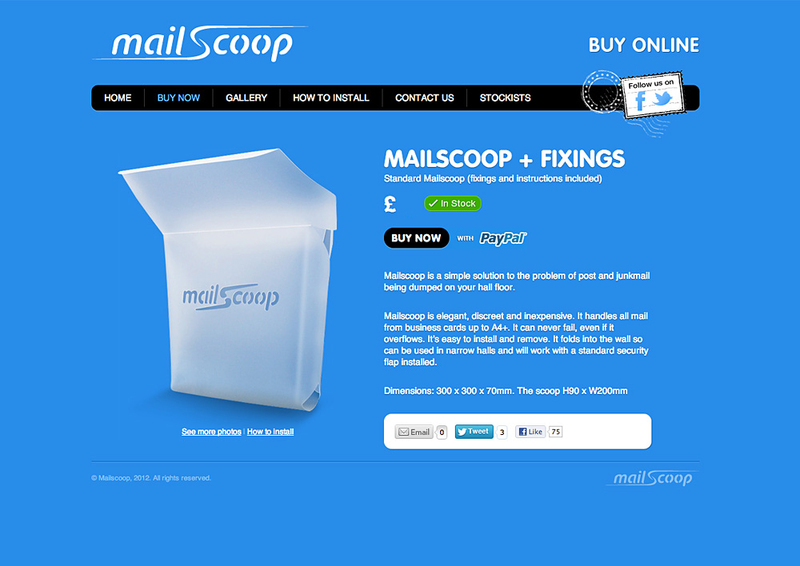 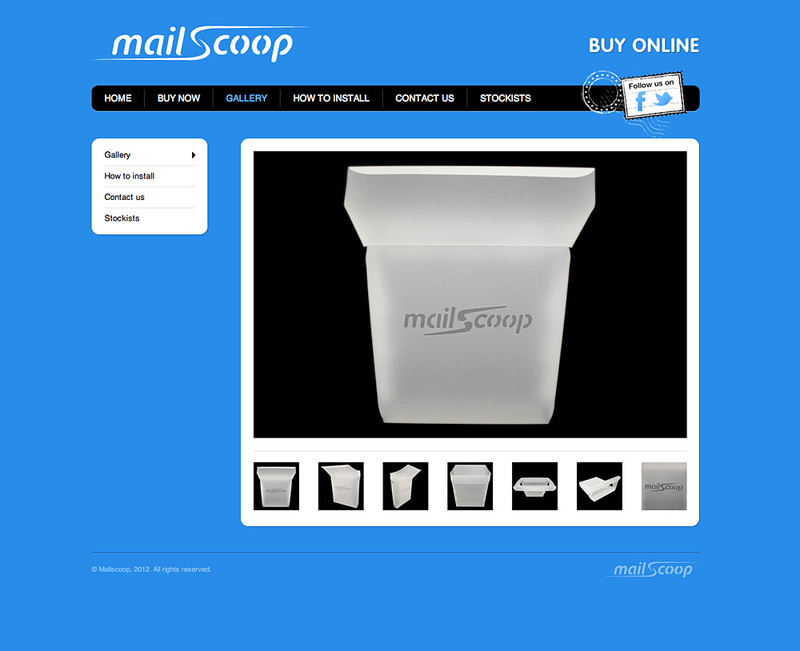 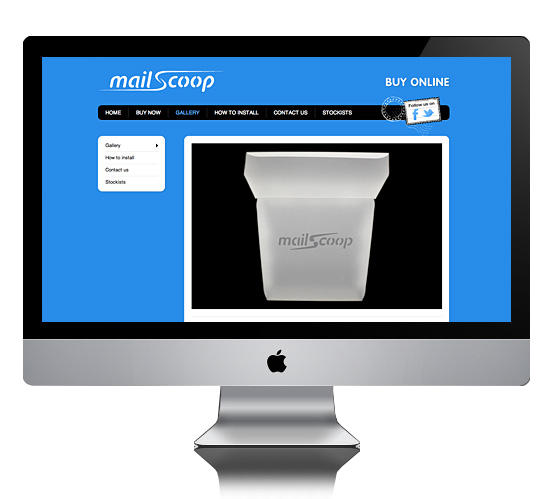 The fun new invention named Mailscoop had been created but sadly lacked the website and print media to back up the products future potential. 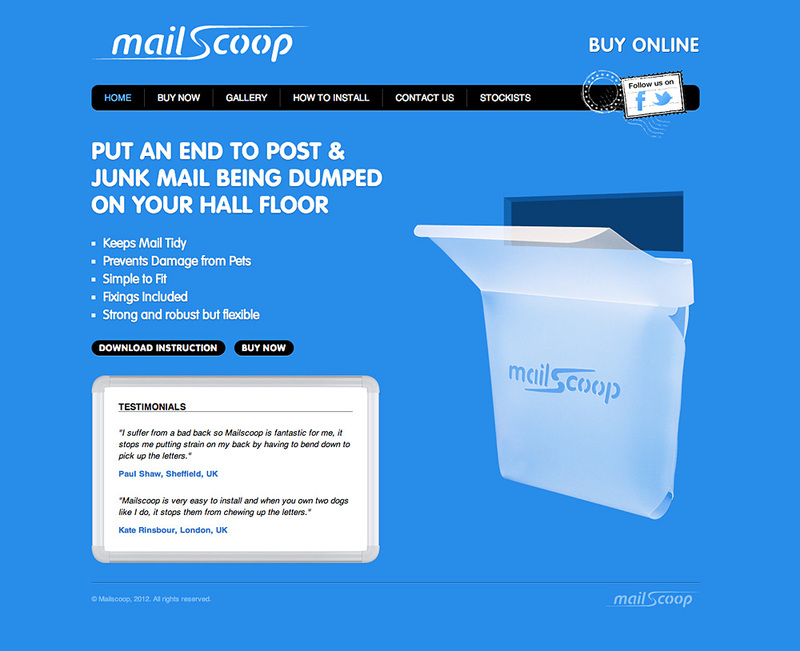 I injected some character into this brief giving it colour and class. 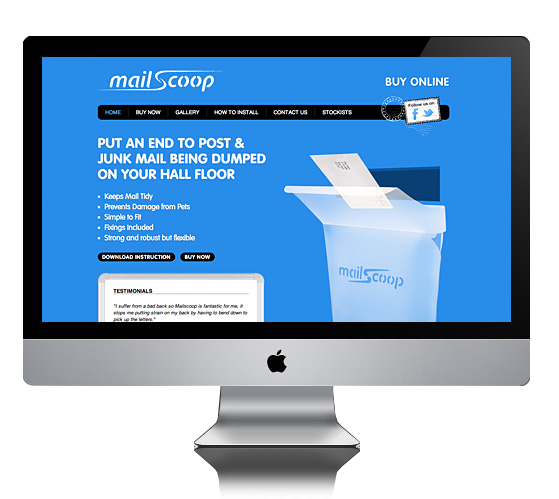 It was important to keep it quirky and interesting to the plausible buyers.